I think the M6 disc is superb. Some may not like the visible curly corners for full aperture but I do. Grain is gorgeous, far superior to the older 2K and very nicely resolved. Black levels and dynamic range are not an issue. It's superb. Last edited by david hare on Fri Jul 27, 2018 9:22 pm, edited 1 time in total. Ooh, good thing I checked in here first. I have the Criterion, so I hope BFI will re-author the disc or when the ship date looms I will cancel. I despise compression issues, especially in dark scenes. Yeah, those screen caps look gorgeous. Since Janus Films released the restoration a couple years ago, I'm willing to bet that Criterion will upgrade their Blu-ray eventually as well. This is one of their oldest and most important titles. I actually saw the 4k DCPin 2016 at the NZIFF. To translate, the workflow was done in 5k, from a nitrate O-neg and a complete fine grain nitrate positive for reference with downrez to 4k for the DCP. I thought the DCP played a little hard-looking with less contrast gradation than the disc. In fact I had problems with the projection, in particular the lamp and light quality, but in any case the disc looks so much better than even that. This is pretty brutal. I recall it being pointed out that Criterion's Pan's Labyrinth had issues with macroblocking that I didn't notice initially, though a later viewing, and a "pause" in the right place exposed it. But with that one it at least wasn't obvious while the film was playing. But it's really blatant here. It's a shame because the brighter scenes, or the brighter areas of the darker scenes, look fine. The gradients are smooth and it all looks natural. But, Jesus, the darker areas that are black (or as close to black as possible) or a dark gray are a mess. You see smooth transitions into the darker areas of the shadows and then when you get to the darkest grays you see this horrendous banding effect between a few tones of dark grays (each tone as flat as can be) that then finishes into this pixilated black mass that dances around. It's such a shame because the other areas of the presentation look incredible, and the restoration is gorgeous otherwise. But all of those moments going through the dark castle, they're just a mess. For a few years I have held off getting the Criterion BD, as it looked way too soft judging from screen caps. But at least it will be better than my old DVD. And I can't expect more editions for some time. Is there any consensus which one is superior Belle image wise? BFI or Criterion? Beaver is now suggesting the BFI should be re-issued to get rid of the macro blocking, but that's not going to happen is it? I guess there goes the chance for casual collectors to understand the problem and take it up with the BFI. As I wrote in the related topic, I guess that's what it takes for Svet to remain consistent with his Criterion reviews regarding blockiness problems. Is there any consensus which one is superior Belle image wise? BFI or Criterion? The new 4K restoration used by the BFI is much better than the Criterion one, so the basics are clearly superior. 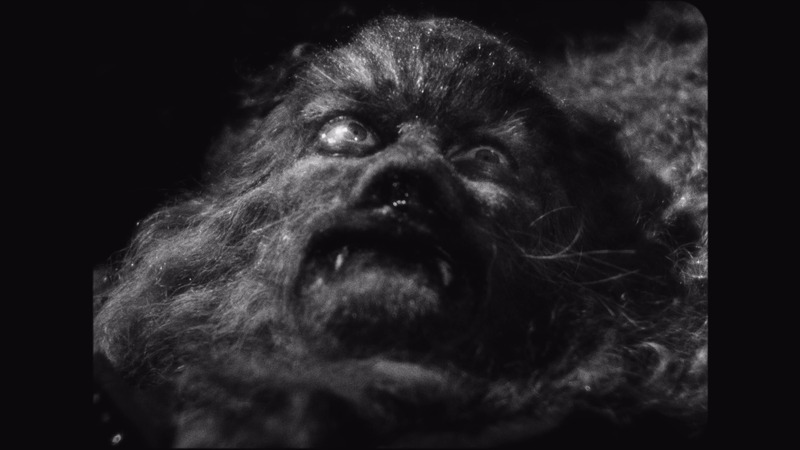 I'd argue that even despite the poor encode of the darker scene on the BFI disc, it should still be better than the Criterion disc, especially because it will be quite depending on your setup (and how well setup it is), but that's guessing that even with so intense macroblocking issues, most people can still overlook them because of various reasons. Beaver is now suggesting the BFI should be re-issued to get rid of the macro blocking, but that's not going to happen is it? They corrected An Autumn Afternoon's encode for a much lesser issue than this, so providing this is an internal encoding issue that can be fixed, they might fix this one since it's a much visible issue. The only issue I can see is if the encoding facility say they "can't do better than that", because then, it means having to do the fix outside of the original place, and I don't know if this is feasible, financially and contractually-wise. 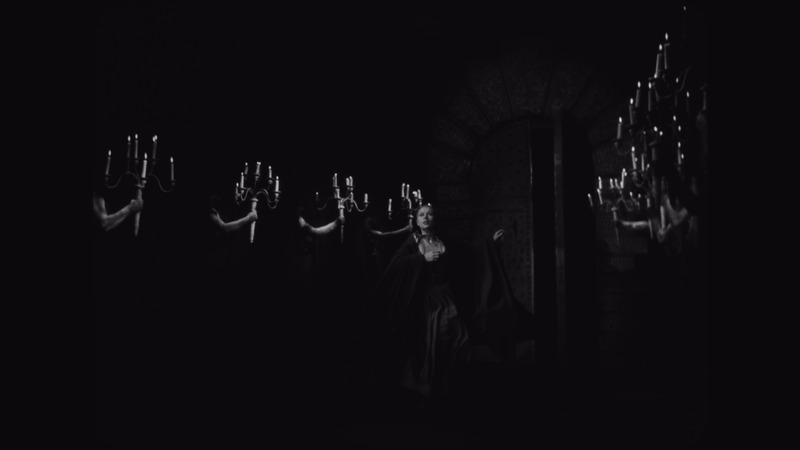 As many of you know, our initial pressing of La Belle et la bête on Blu-ray unfortunately contained some visible compression artefacts in some of the darker areas of the image. For this reason we have re-encoded and re-authored the disc to make sure that the video quality represents the best that the format can achieve. We are pleased to say that we have now resolved this issue and will be offering a replacement disc programme. Details on how to get a replacement disc will follow shortly. For those interested in the technical side: The existing version suffers from quantization artefacts in the dark areas resulting in the blocking problems that some people have seen. For people watching in brighter rooms, their irises will be closed down and they won't be able to see into the darker areas of the picture, so to some viewers it will look fine. But in darkened cinema-like conditions with irises opened all the way up in dim light, the errors will be visible. That's especially so on OLED displays since they can produce true zero black and therefore have to stretch the available shades over a wide array of light output levels. The BFI appreciates everyone’s patience whilst we’ve looked into this. There are labels I probably could spend days explaining why properly encoding a 24fps movie in 1080p is important and they still wouldn't care (and even explain I'm just too picky), and there's the BFI who fixes stuff like overly visible compression and offers a replacement program for it. It's always reassuring to see people who genuinely cares about things like this. Is this new version available from retailers or do they still have the old stock? The new discs will go into production soon, therefore no retailers have corrected stock yet. The BFI would strongly suggest buying a copy from your preferred retailer and then following the instructions (to be posted up here at a later date) in order to get a V2 disc. That’s probably the safest way to ensure you end up with the corrected disc. It appears that there were similar problems with the BFI's Birth of a Nation. Here is a detail from caps-a-holic backing it up. I have this disc but have never watched it. Did BFI issue replacement discs for this as well? There will be a replacement disc available in the next fortnight, however, the whole package will not be re-released . if you have already bought the item , we will be able to issue a new disc on production of purchase. Sounds like a pretty sensible course of action to me considering the vast majority of buyers will not notice the error, or may even have their TV set in such a way that masks the issue anyway. It's indeed the usual course : only a fraction of the buyers will remark the issue, so why paying to replace the whole thing for something only 10 to 20% of the buyers would request ? Just do a replacement scheme, people who are bothered by it will be happy, and it will also generate less questions like "if I buy it, how can I know if this is the corrected version ?". That's... actually what the car industry does on a regular basis. My previous car has its brake calipers setup too hard, so they were wearing way too fast the brake pads until it's started wearing the brake discs. This is a known problem on this model at the manufacturer. So when I went to the garage to have these changed way sooner than I should have, it went through the brand warranty. Yet, there isn't any recall for this, most likely because this isn't a life-threatening issue (just a financial one, because you need to change those faster than you should), and maybe there aren't too many copies made of that model, so it's cheaper to do it this way, with a very low risk. Why Toyota is recalling their Prius and Auris in Europe ? Because there are 2 millions of cars concerned, which is a lot, and the car can stop unexpectedly. Which is very dangerous, so the risk is way higher and multiplied by the number of concerned cars. This really is a well-known industry wide system of cost vs risk calculations, whether it's for oven, laundry washers, cars or Blu-ray discs, a system that has been used for decades. Most people won’t consider the first disc to be “faulty”. And of course it isn’t faulty in the sense of parts of it not working: the “fault” is a comparatively minor one of a lower bitrate being used for darker scenes than should ideally have been the case. Tenia’s argument is entirely reasonable. So I bought my copy and received it today. Who at BFI should I send an email for a replacement disc? BFI shop. Will they require some receipt as proof of purchase? I don't think the BFI has yet explicited the process to request a replacement. With Amazon orders, I usually do a print screen of the order page, cropping it to the bare necessity, and attach it with my replacement request. I never got any complaints. 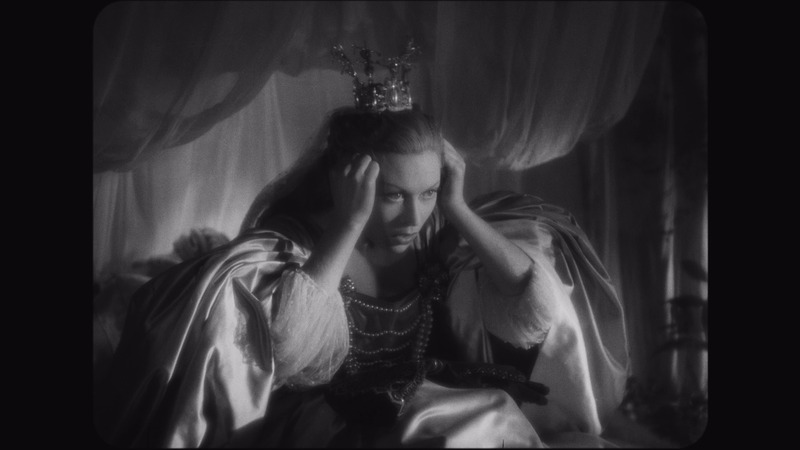 Corrected discs of our release of La Belle et la bête are now available to customers. 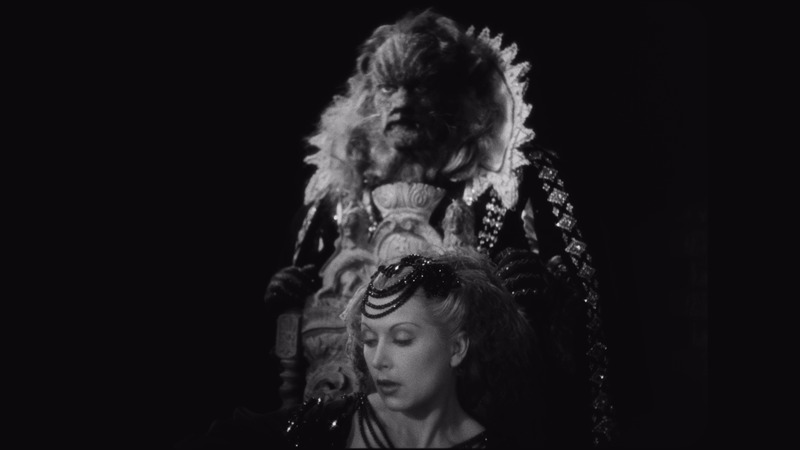 If you purchased a copy from the BFI Shop please send an email to bfishop@bfi.org.uk with La Belle et la bête in the subject line, providing your name and address. If you purchased a copy from any other retailer, please send an email to video.films@bfi.org.uk again providing the necessary information. If you have proof of purchase that you can include in your email then please do so, however don’t worry if you don’t, we trust you! We will be re-working our stock in warehouse so if you purchase a copy in the future and are unsure if it’s the corrected version, please refer to the disc on-body. A V2 has been added to the end of the small print that goes around the edge of the disc. Thank you to all our customers who have been so patient whilst we addressed this issue. Thanks for that Michael - I got a response within minutes and my replacement disc is being sent tomorrow. I didn't get a response, but my disc was delivered yesterday. Last edited by perkizitore on Thu Nov 01, 2018 9:35 am, edited 1 time in total.